Another web site for our friends at Balance Creative. 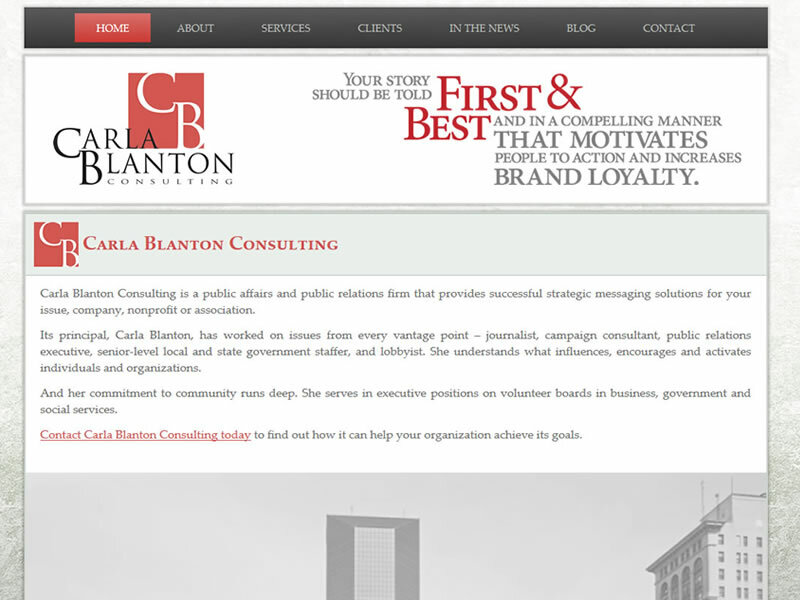 They needed a simple but elegant website for Carla’s consulting agency. So with a little back and forth on design changes we had Carla Blanton Consulting up and running in no time with WordPress and some awesome hosting with us. And we also set things up so when Carla creates a new blog entry, the site will auto post a new entry notification to her LinkedIn profile page.